Joomla Website Builder Gridbox is a 100% front end Website Builder, allows you to build Joomla Websites through Drag and Drop Directly from your browser. Forget about boring website builders. Build Joomla Websites in Real Time! Joomla Website Builder Gridbox will change your idea of site building on Joomla CMS. What you see is what you get! Joomla Website Builder Gridbox comes with a powerful Drag and Drop Editor. If you want to change an order of the page elements, just Drag and Drop them, as you need! Balbooa Joomla Website Builder Gridbox is Fully Responsive. Websites look awesome on all devices and screen sizes. With help of Gridbox Responsive editor, you can customize template style for each device. Have you deleted page element by mistake? Don't panic! Press the undo button and everything is back. With Joomla Website Builder Gridbox your website will look amazing on all devices, from Desktop to Smartphone. Using inbuilt Responsive Editor you can configure your website styles for Desktop, Tablet, and Phone screen sizes. Joomla Website Builder Gridbox allows you to modify each element of the page in real time. Set beautiful backgrounds, animations, etc. You don't even need to know the code. Joomla website Builder Gridbox includes a huge number of tools which allows customizing Joomla template settings easily and fast without coding. 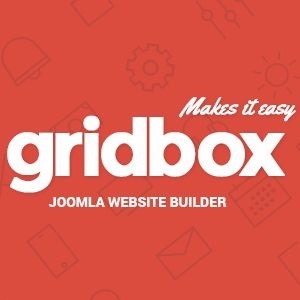 Build Beautiful Joomla Websites with Gridbox Easily! Joomla Website Builder Gridbox includes 8 preinstalled header layouts. You have full control over your website header. You can move elements in the header section. Also, you can create your own unique header layouts. Joomla Website Builder Gridbox allows you to set Solid Color, Image or Video Background for Section, Row or Column. Also, you can to enable and configure background overlay color and transparency. Unlimited colors for all elements. Using color pickers with integrated color and opacity sliders you can build beautiful and unique Joomla Websites. Balbooa Joomla Website Builder comes with Advanced typography options. Get full access to Google Fonts library. To add new font you need just to enter Font name and style. Font preview in the Fonts Library. Balbooa Joomla Website Builder allows you to add animation to each Section, row or column. Choose animation effect from our collection, which was carefully designed for a smooth experience. You have full control over the footer. You can build your own footer with an own custom layout and color palette. Move elements inside footer as you want. Want to build nice looking One Page Joomla Website with Smooth Scrolling animation?! No Problem! Joomla Page Builder Gridbox allows you easily to build one page Joomla Websites without touching a line of code. You need just to select the Endpoint of Scrolling. در سایت سازنده نوشته شده برای استفاده و ورود به کامپوننت باید یوزر و پسورد سایت سازنده رو وارد کنید تا لایسنس چک بشه. ما بررسی لایسنس را از افزونه حف کرده ایم و افزونه به طور کامل کار می کند.